Rimpu is one of the few female farmers on our platform but an immensely succesful one. 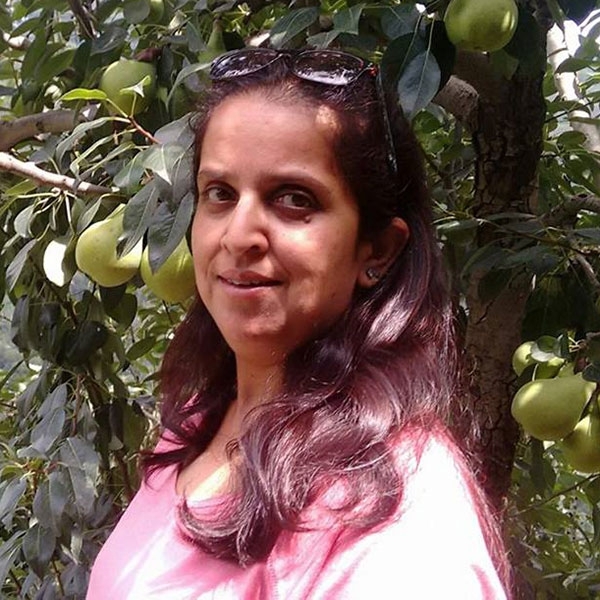 Her orchard, Veer Vatika is located in Kotkhai, Shimla and produces products that are greatly loved by customers on the FarmerUncle platform. She starts her season with plums and peaches, followed by Moti Dandi pears and then comes to her main crop- Apples. Rimpu grows several varieites of apples such as Royal Delicious, Golden Delicious, Red Gold and Rich-a-Red. Moti Dandi (Bartlet) Pears are the only pears that have a “true” pear (or pyriform) shape and taste. The fruit’s color brightens as it ripens, which is a characteristic unique to Bartlett pears; most pears do not change color when ripe. At harvest they are a vibrant green, changing to yellow when ready to eat. When unripe, the texture can be gritty. The Bartlett pear has a distinct flavor and sweetness, its white flesh has a smooth, buttery texture. Moti Dandi Pears can be eaten fresh, out-of-hand, or paired with cheese. They add a sweet flavor to salads and make excellent preserves, syrups, and chutneys. Bartlett pears are known as the “canning pear” because they have a distinct flavor and sweetness which preserves well. They make great additions to cakes, muffins, crisps and quick breads. Bartlett pears are also delicious dried or sautéed to compliment meat dishes. To ripen let sit at room temperature for a few days or in a paper bag to expedite the process, ripe Bartlett pears keep best in the refrigerator.